Hey all! 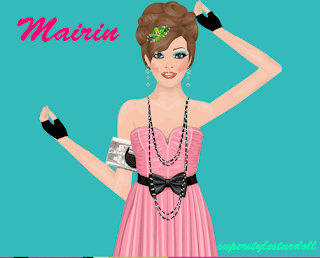 I found some great outfits while surfing stardoll! The first is G0SSIPGIRL. She is new to stardoll and is non-ss, but is really wonderful! She rocks mile long legs with high waist shorts and pumps! The next is ad.astra! She is flaunting RC faith hill with coco chanel and a HB belt! A vision in pink! The final is RACHWEEE123! She has an awesome party dress style with rockin' silver hair and a satin balloon skirt!